With mixed martial arts constantly evolving and the quality of striking coming along at a speed of knots—well, in some divisions—it is well worth the time of every MMA fan to acquaint himself with the best in the business of bruising. In our previous two installments we discussed old timey boxers and modern Muay Thai legends and plenty in between. Today we'll look at three more of the best strikers to ever lace up gloves (or not, in one instance). What to watch for: Counter right straight, Right straight to the body, Cross hand traps, Crossface punches. 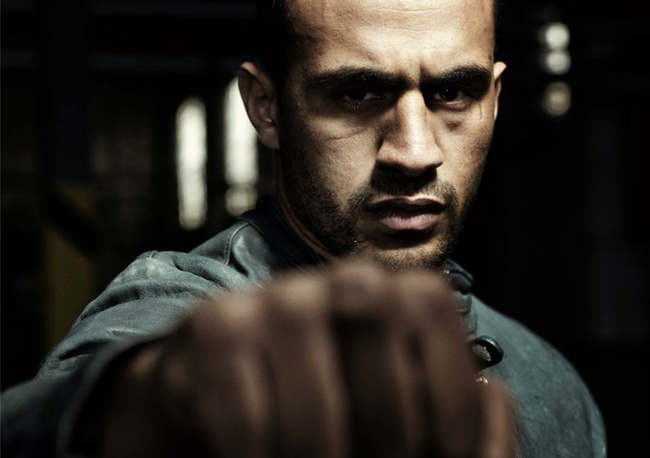 Badr Hari might be the most technically superb heavyweight kickboxer I have ever seen. Though his best days are considered to be behind him at just thirty years old, Hari's list of accomplishments in his career is still imposing. Name a top flight heavyweight kickboxer from 2005 onwards and he's probably beaten them. In fact, there's a great chance he starched them outright. That list even includes the most accomplished heavyweight kickboxer of them all, Semmy Schilt. Hari had all kinds of flaws. He couldn't take a punch very well, he was a wild man whose technique went to pot when he smelled blood, and his quick temper cost him many fans and threatened to see the K-1 Heavyweight Champion imprisoned. But when he had kept his cool and his form held up, he was dangerous from all angles. Hari began his career known as a gangly kicker, but once he learned that he could knock out almost anyone in the world with his right hand, his boxing came to the fore. Few have had success with the jab in kickboxing as Hari did, but it was his right straight which really put fighters to the floor. He could time it to perfection, here he is executing what the great boxer, Barney Ross considered to be the most powerful counter punch of all—the right straight inside the left hook. But Hari's best weapon was the right straight to the body. Like the jab to the body, but considerably more powerful, this weapon works excellently against opponents who are fighting with their hands high—as all of Hari's did because of the power in his gloves and the dexterity in his high kicks. You will see it make a rare appearance on your average fight card, but Hari went to it with such frequency and effect. He floored plenty of men with the punch on its own, but often it served mainly to drop the opponent's elbows and allow Hari's headache makers through upstairs. Another interesting trick of Hari's was the outside cross hand trap. Almost exclusively useful against a shelled up opponent, this is where the left hand is reach all the way across the to the opponent's left hand, and drags it down to make a path for the right hand. As I mentioned earlier, Hari is on the arse end of his troubled and rocky career at this point, but he is still more worthy of study than any heavyweight kickboxer active today. What to watch for: All nine limbs, all the time. Textbook head butts. In our first installment we looked at the Muay Thai genius of Saenchai. Methodical and minimalistic even in his flamboyance, Saenchai starts with the push kick and builds upwards, rarely striking in extensive combinations and often winning confident, lop-sided decisions. Tway Ma Shaung may be the opposite side to that coin. A Burmese Lethwei competitor, Tway Ma Shaung is considered one of the best in his under-advertised art and regularly takes on and outclasses larger opponents as Saenchai does. But that's pretty much where the similarities end. Shaung is a wild man in the ring. He has technical skills, certainly, but he fights more in the Matt Brown mould which we love so much—crowding opponents and attempting to hit them with everything he possibly can. Lethwei is considered the art of nine limbs—allowing all the traditional Muay Thai weapons, plus head butts—and Shaung seems to be the embodiment of this. He has his favourites, but he really looks like a whirlwind of aggression who will attempt anything and everything. As always with Lewei fighters, it's interesting to note how the lack of gloves affects his punching form and shot selection, and how Shaung uses his head to cause damage. Notice that in clinches, as he fights for inside control, Shaung will make the opponent a little more malleable by slamming the top side of his head into their brow or temple. He might not have the science and craft of Saenchai or Giorgio Petrosyan, but he's a study in chaos done right, and he's well worth your time. What to watch for: The bounce, the lead uppercut, long rhythm. My favorite thing about combat sports is that, as much as everyone preaches that there is a 'right' way to fight, there is no single method to win a fight. I've touched on this issue plenty before, most notably in comparing the footwork of Joe Louis and Muhammad Ali. Louis shuffled and stayed in position to fire, Ali danced and drew opponents onto his leads. Completely different styles, but both produced tremendous results. Neither man succeeded in spite of their footwork, but rather because of it. Everything has its pros and cons. Bouncing footwork has the enormous downside of removing a degree of control from the fighter. A bounce is when both feet leave the floor almost together. To see this go horribly wrong, check out Martin Kampmann getting caught by Johny Hendricks. Kampmann begins bouncing back and forth in rhythm, and when the predictable Hendricks lunge comes, Kampmann cannot react fast enough. He has committed his weight into the air and into a forward bounce, no time to burst backwards until he's finished the motion. A tiny detail, but a beautiful illustration of how dangerous it can be to bounce for the sake of bouncing. But when you see bouncing done right, it's downright beautiful. Cuban boxing great, Jose Napoles was so damn smooth with his bouncing in and out, they nicknamed him 'butter'. But in Spanish its a lot sexier... and Mantequilla had some of the most outright gorgeous boxing you'll ever see. Not only does Napoles' bounce get him in faster, it also takes him out of range and has him primed to bounce back in on rhythm with a lead uppercut. That lead uppercut is just another reason to love Napoles—too few fighters can use it effectively and Napoles, along with Alexis Arguello and Roy Jones Jr. is one of the absolute best I've seen with it. If you've never understood the fuss about Cuban boxers, Napoles is a good place to start. A study in rhythm and cadence at the highest levels of the game.